Having a problem signing in? Welcome to the secure section of APCA.org! Applying online? Login to begin your application process. If you do not have a MY APCA account, click on the "New User Registration" link to create an account. 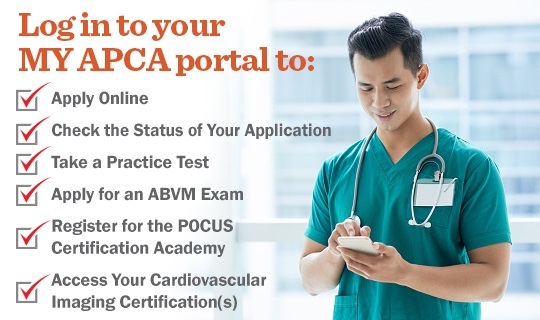 If you already have an ARDMS Certification Number, it may be used to access MY APCA. You do not need to create a new login for MY APCA.